Which brings us back to our system. It has clearly failed patients in this and many other respects. It has also failed the vision and intention of the researchers whose humanitarian intentions are being undone as pharmaceutical companies try to extract profits out of insulin sales, using every trick in the book. As we head towards 2020, we know that healthcare will again be a major part of the conversation. Republicans have failed miserably in outlining any alternative approach beyond reactionary slogans like “repeal and replace”. They have made it clear they do not plan to do anything in the approach to 2020, and will not detail any plans past 2020 either. This is a good thing, because it allows Democrats to set the terms of the debate. A huge majority of Americans supports Medicare For All. This includes 85% of Democrats and a slim majority of Republicans. But this is no laughing matter. It is a matter of life and death. The wide field of Democratic candidates offer a variety of positions on health-care and the problem of pharmaceutical prices. Jeff Stein over at the Washington Post has done us a favor by synthesizing all the candidates’ positions on healthcare. He asks seven important questions, and places all the candidates on a scale for each of them. What should happen to private insurance? Do you support creating a public option to expand health care, such as allowing people to buy into a state Medicaid program regardless of income? Do you believe all undocumented immigrants should be covered under a government-run health plan? Do you support partially expanding Medicare by allowing people ages 50 to 64 to buy into Medicare? Do you support importing drugs from other countries? In all the responses, one pattern is clear across all the candidates, Warren and Sanders are the major candidates who are clearest on the challenge, and on the solutions. Most of the other candidates waffle on details, or hem and haw instinctively wary of upsetting the health insurance industry. That should have taught us a lesson. Complex, half-measures will not do in our current environment. We need to create simple, universal programs and implement them in the way Medicare and Social Security were. We need to do this once, demonstrate the value to the people, and put the fear of god into any politician who tries to undo them. We need to convince people that they should jealously protect these programs from any right-wing hack who might try to undermine them. There are two major candidates who understand this. Elizabeth Warren and Bernie Sanders. The rest seem to be playing around. The time for games has ended. Will anyone remember Tongo Tongo, Niger, or Yakla, Yemen the way they do “Benghazi”? Walk down any street in the US and ask people about Tongo, Tongo, Niger, you will get blank stares. Ask them about what happened in Yakla, Yemen and you will get confused looks. Now, ask them about “Benghazi” and you’ll get an immediate reaction. Why is that? Because Republicans took the attacks on two US compounds in Benghazi, Libya and held a hundred hearings about it, they made it part of the conversation. They made it news. To the point where there were books and movies made about it. Trey Gowdy practically made a career out of chairing one sub-committee. Americans have the wrong impression of those attacks, they get major facts wrong. For example most will tell you the attack occurred on a “embassy”. The US embassy in Libya is in the capital Tripoli. But they will know something bad happened in Benghazi, and somehow Democrats did something wrong. Now, go back and ask them about Tongo, Tongo and Yakla. You will get blank stares again. And for that ignorance, you should hold Democrats accountable. Specifically, Democrats in the House and Senate. The events in Niger and Yakla, Yemen were far more scandalous than anything that happened in Benghazi. The difference is that House Democrats haven’t convened any hearings or empaneled any sub-committees to investigate them. There are rich lines of inquiry that would reveal Trump administration ineptitude which led to the deaths of children and US soldiers. Instead of following these important threads, the Democratic chairs of powerful Congressional committees (we see you Eliot Engel), spend their time policing the speeches of fellow Democrats at coffee shops. If Democrats don’t act now, before the 2020 election gets underway in earnest, these scandals will fade entirely. Any opportunity to fully investigate them or hold the Trump White House responsible for these failures will pass. There’s a rich, rich line of inquiry, including video of the recovery of Sgt. Johnson’s body, which is widely understood to have been mutilated. He was mauled so badly that his widow was not permitted to view his body, and partial remains continued to be found five weeks after his death. To make things worse Trump told the widow of one of the soldiers that he “knew what he signed up for”. There are reports that the unit’s mission might not have been properly authorized. There is an enormous investigation to be undertaken here, and Congress should do it. In 2018, Trey Gowdy said there would be a hearing, but that never happened and the military’s report was quickly buried. Rep. Cummings issued a statement at the time lamenting the lack of hearings. Now that Democrats control all the House committees, special sub-committees should be created to investigate all aspects of the Niger raid. But where are the Democrats chairing these committees? We have 235 Democrats in the House and we control all the gavels. Most of these Representatives spend hours every day dialing for dollars. Is that the best use of their time? Wouldn’t their time be better utilized getting some answers for Sgt. Johnson’s widow? 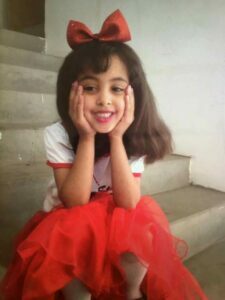 Nawar Al-Awlaki, the eight year old American girl who was among nine children killed in Trump’s botched attack on Yakla, Yemen. There’s more. Worse than the human toll in Niger is the story of the botched operation in Yakla, Yemen. Nine children under the age of 13, including an 8-year old American citizen died in this botched raid ordered days after Donald Trump’s inauguration. The raid was ordered by Trump, who had publicly declared his intentions to murder women and children on the campaign trail. Trump’s blood-thirsty statements on the campaign trail, and this operation alone should spawn a dozen investigations. There are enormous lines of inquiry to be followed. The disgraced Steve Bannon can be called to testify about his role in this raid. Trump’s buffoon of a son-in-law Jared Kushner can be called to testify before Congress about this action. He can be quizzed about the role his affection and business-dealings with the Saudis played in it. One American soldier was killed in this botched raid, and three wounded. The intended target was never in the village. The Bureau of Investigative Journalism estimated that 25 civilians were killed in the attack. Even more outrageously, the decision to authorize this ill-conceived attack on Yakla was made by inept Trump administration officials over dinner. Talk about a made for TV spectacle. With Kushner alone, hearings could go on for weeks. It’s been revealed that his security clearance was denied by WH officials, and Trump personally intervened in 2018 to grant it. Kushner’s clearance was held up specifically because of his suspicious links to the Saudis. How could such a man be part of planning a military operation in Yemen, where his Saudi associates were engaged in a brutal, inhuman war? Call all these men before Congress and make each and every one of them testify. Start with Bannon and Kushner. Then Pompeo and Flynn. Then Mattis and Dunford. Question them about their motives and make them squirm. We all know this raid was planned and authorized for political purposes. They were trying to make a high-profile capture, for political purposes, so they could claim that they had done the equivalent of the Obama administration’s killing of Osama Bin-laden. There are so many threads to follow. For example, the legal authority for this raid is at question. Congress alone has the power under our constitution to declare war. How can a drone bombing or military action of this sort be anything but an act of war? If it is not an act of war, it is an assassination, which has been prohibited ever since the Ford administration issued an EO to stop such assassinations. If it’s not an assassination, it’s an extra judicial killing, and again, what authority does the president have to kill people at will without due process? These are questions that must be asked, and they are far, far more important to our security and to human rights than many of the things House Democrats seem to be doing right now. Then there is the on-going collaboration with the Saudis in their war on Yemen. There are other broad issues at stake here. Including a continuing cover-up of the Trump administration’s drone strike policies. During the Vietnam era, we saw Nixon’s administration vastly expand the bombing campaign in South-East Asia. In the Trump administration, we are again seeing a Republican president take a program begun under Bush/Obama, remove all the safeguards and cover up all information about it. All these threads lie in wait, to be picked up by Democrats in the House, if they have the stomach for it. Instead, they are doing what exactly? Here we are, almost three months after House Democrats got the gavels we worked our butts off in 2018 to get them. There have been no hearings on these and other incidents. Knowing what we know about Yakla and Tongo, Tongo, why haven’t they spawned a dozen investigations? People ask sometimes why we’re angry with Democrats. This is why.